2. Lulie the Iceberg ". Listen, for we have a tale to tell A simple tale about on iceberg - Lulie ..."
3. Lulie the Iceberg ". His friends gathered around him 'Do not go' Said The Polar Bear ..."
4. Lulie the Iceberg: "The clown-faced Puffins had a ride ..."
5. Lulie the Iceberg: "The Dolphins kept up a friendly chatter and Took turns pulling ..."
6. Lulie the Iceberg: "The wind felt sorry for him ..."
7. Lulie the Iceberg: "'Stop Please stop!' The Winds stopped blowing and the waves calmed down ..."
8. Lulie the Iceberg: "At night the moon and stars would whisper sweet words of encouragement ..."
9. 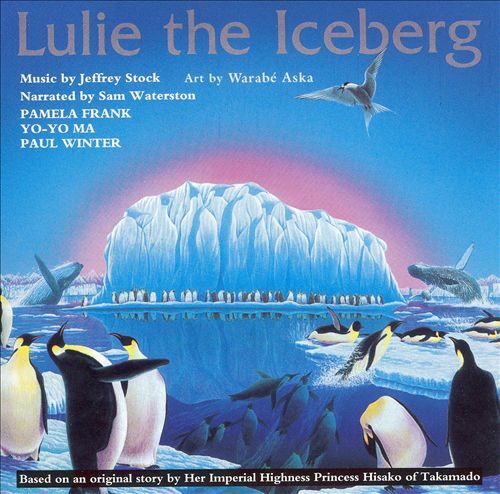 Lulie the Iceberg: "Many days passed ... He turned to find his friends the Humpback Whales ..."
10. Lulie the Iceberg: "Drifting past the coast of Brazil, Lulie what blissfully happy ..."
11. Lulie the Iceberg: "The Southern Humpback Whales Came to greet him ..."
12. Lulie the Iceberg: "It was then that Lulie heard the voices. 'It's the Elders ...!"